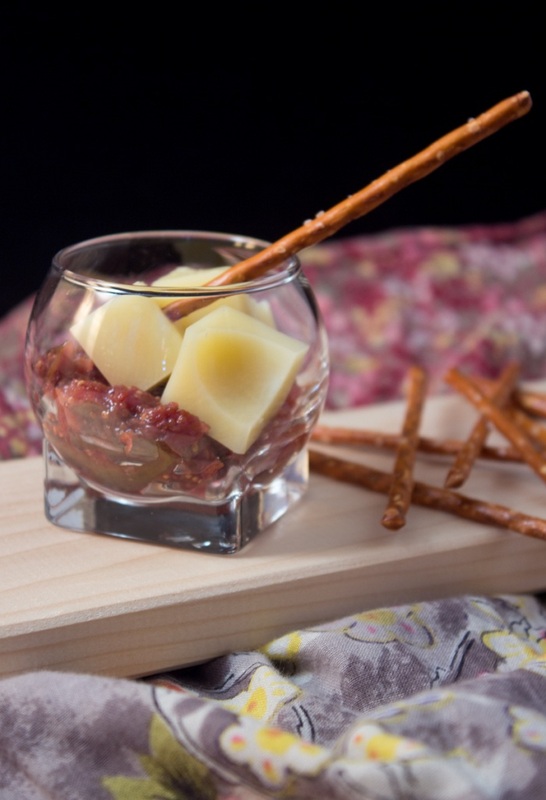 Sometimes, it’s difficult to stand up every week in front of this large white page, even with this beautiful fig chutney with emmental verrine. You know English is not my first language. I learn English at school and while doing my economics studies. I can run a meeting, write a report or convince a client to buy products or services. But writing about food is a complete other story. Even if I am at ease speaking with my friends about tones of different subjects, I can see from time to time that my vocabulary is limited. For example, as a teenager, I was helping my mother to lay tiles around our interior swimming pool. I was trying to explain this to my English colleague Trevor. But seriously … I think I used these words about 10 times in French in my all life so how I can possibly know these words in a foreign language. Writing about food makes me learn new English words and expressions almost every day. I love sharing recipes with you guys; but I would like also to be able to create a story around this recipe and share with you my feeling while eating the food I have just made. As much as I have to practice in Food photography, I know that I need to improve my writing as well 🙂 ! Below you will find a new easy verrine for your apéro, I found in a french cooking book that one of my granmother once send to me. Wash and cut figs in four pieces. Add figs and sugar in a medium saucepan. Cover. Cook for 40 minutes monitoring cooking process and stirring regularly. Leave to cool. Add a layer of fig chutney. 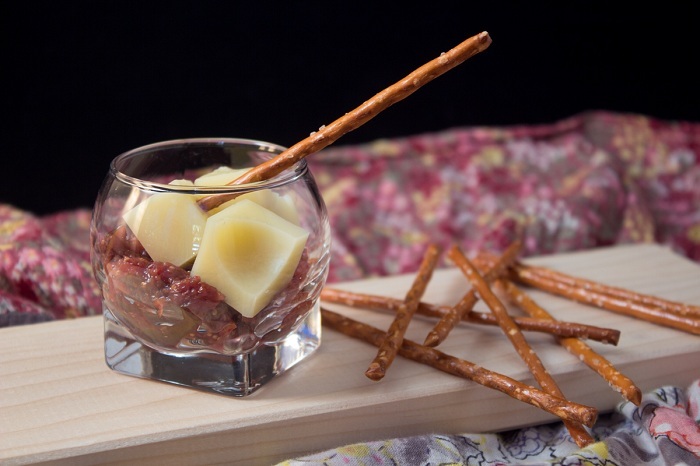 Put 3 cheese dices in each verrine and decorate with a pretzel stick.